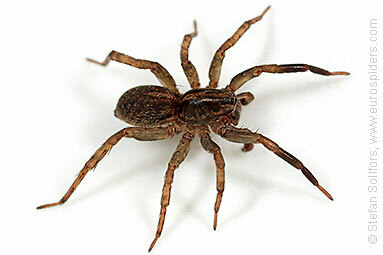 Male Trochosa terricola. 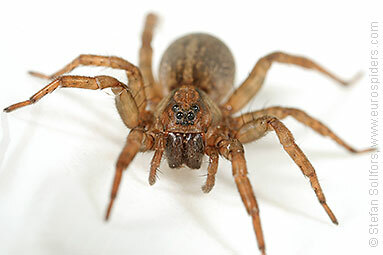 Note how one of the front legs is darker and bigger then the other front leg. 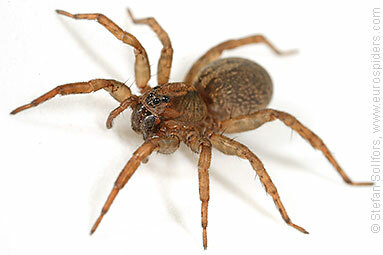 He probably lost the left leg as a young spider and now the leg has grown out almost as much as the other leg. 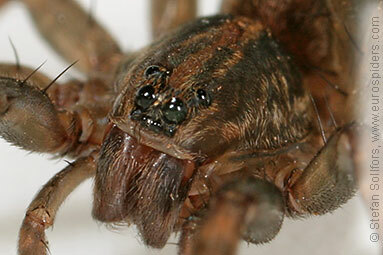 Close-up of female Trochosa terricola. 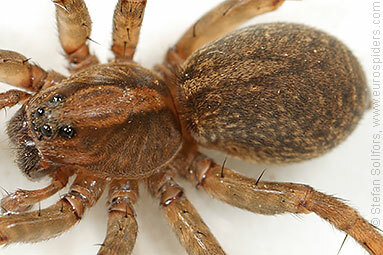 Close-up of male Trochosa terricola. 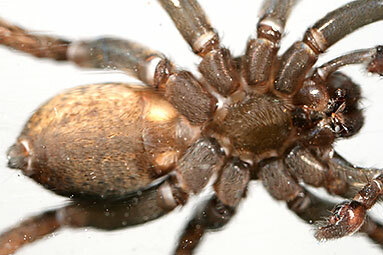 Male Trochosa terricola, side view. 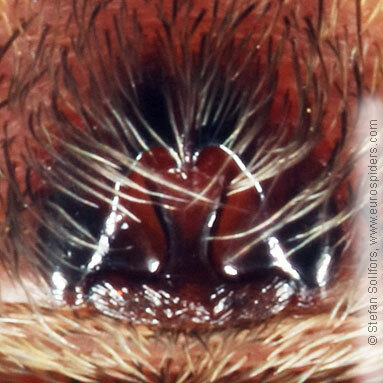 Close-up photo of the face of a Trochosa terricola. 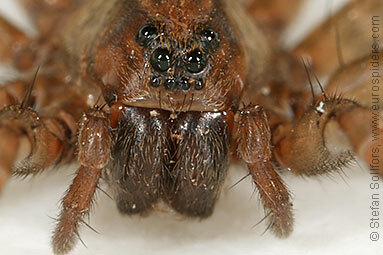 Close-up photo of the face of a male Trochosa terricola wolf spider. 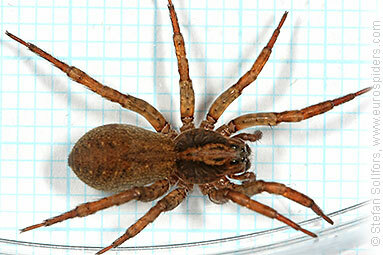 Female Trochosa terricola, head-on view. 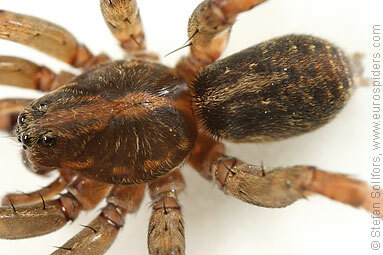 Male Trochosa terricola from below. 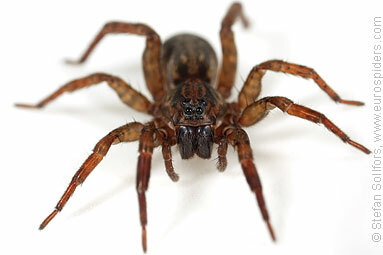 Female Trochosa terricola from below. 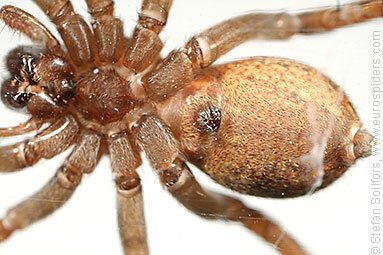 Another female Trochosa terricola from below. 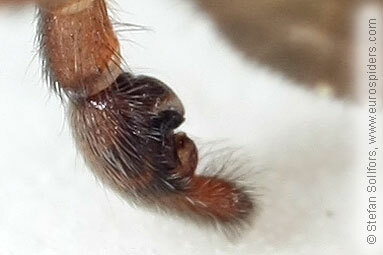 Close-up of epigyne from the spider above. 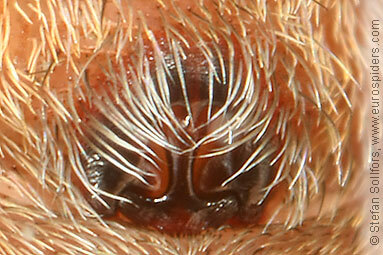 Close-up of the epigyne of a Trochosa terricola. 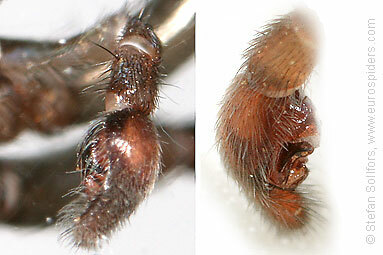 Palps of a male Trochosa terricola. 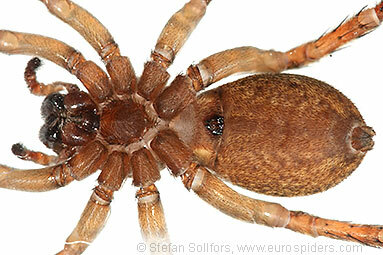 Palp of a male Trochosa terricola. 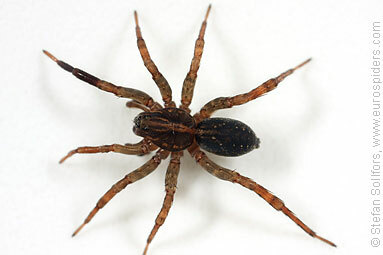 Male Trochosa terricola. 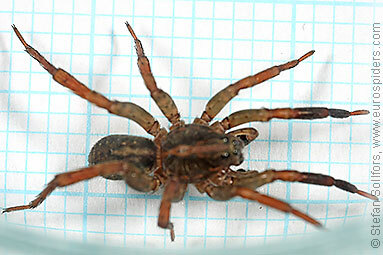 About 7,5 mm. 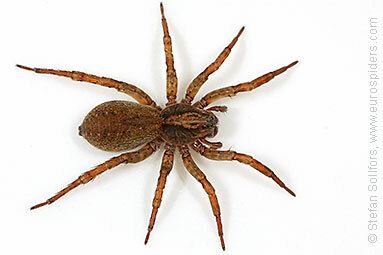 Female Trochosa terricola. About 10,5 mm. 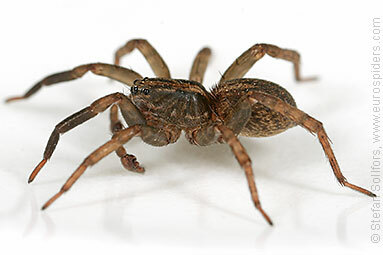 This wolf spider seems slow, compared to Pardosas. 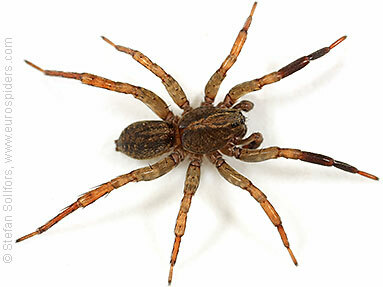 Found in the woods, hunting prey on the ground.